Girardian Reflections on the Lectionary, Epiphany 8, by Paul Nuechterlein & Friends. "Wine Tasting," Douglas R. Loving, The Christian Century, 2000. Religion Online. "The Riffraff," Frederick Buechner Sermon Illustrations. Lector's Notes, Ordinary 8, Gregory Warnusz, Saint Jerome Parish, Bellefontaine Neighbors, MO. Notes and commentary for those reading this week's lectionary texts to the congregation. 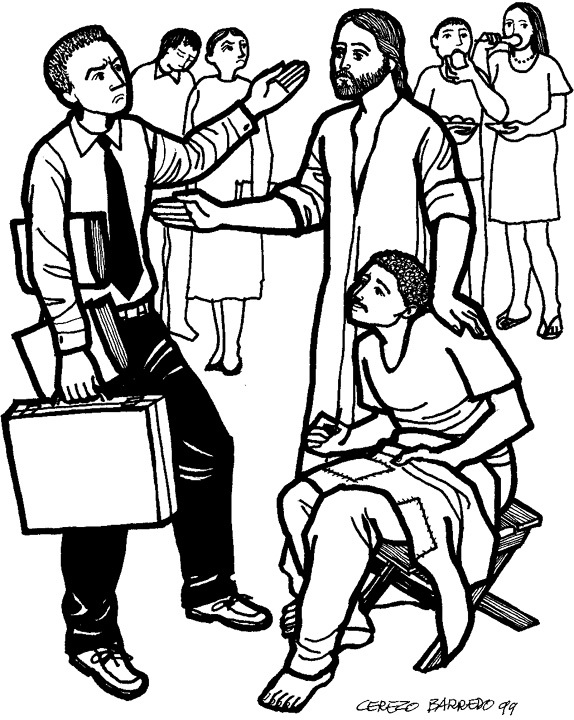 Clip Art Images: Mark 2:18-22, Misioneros Del Sagrado Corazón en el Perú. Ordinary 8 at Cerezo Barredo's weekly gospel illustration. Follows Latin American Roman Catholic gospel reading, though most gospels texts/themes are found in the index. Liberation emphasis. Hymns of the Spirit Three, Epiphany 8B, Richard E. Hurst, Universalist National Memorial Church. Choral Anthem Project, Ordinary 8B, National Association of Pastoral Musicians. Story for Children's Worship and Family Activity, Ordinary 8, at word-sunday.com: A Catholic Resource for the Lectionary by Larry Broding.